It's homecoming in Tuscaloosa as Alabama hosts Vanderbilt at Bryant-Denny Stadium Saturday, October 8 at 7 p.m. Alumni, friends and fans in the Greater New York area will be once again watching the game at our primary home for Alabama football, The Ainsworth. With over 48 HD televisions, giant projection screens, and great sound system, there will be no better place to watch the game outside of Tuscaloosa. The staff will be clad in crimson and white with shakers on the table, great drink specials for Alabama fans, and Yea Alabama played after every touchdown. UANYC members can request reserved seating on space-available basis at The Ainsworth or The Hill by sending an e-mail to alabamanyc@gmail.com until Noon on Thursday, October 6. Reservations are limited to a minimum of four seats per member. 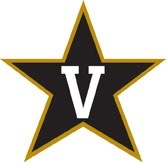 Please submit your request with Vandy Table Reservation in the subject line of the e-mail. In your request, provide the number of guests (minimum of four), your cell phone number, and the name you would like on the reservation. Confirmations will be sent out Friday afternoon. We will do our best to accommodate everyone, with dues paying chapter members given priority.